Briefery is a mobile-first workflow app which offers workflow management, task management, document libraries, and real-time communication. It serves organizations by supporting collaboration and identifying bottlenecks. The platform has a functional module for various types of messages based on attributes such as the level of urgency, delivery confirmation, asking an employee to perform a task or requesting a response from a group of employees. The hierarchical structure ensures efficient communication with thousands of employees. 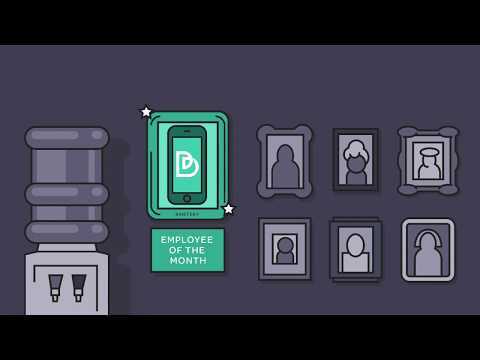 Briefery allows users to build automated workflows that reflect organizational processes. With the instant form generator, users can fill a form for ticket/problem reporting, project workflows, new assignments, HR reports, and surveys. These forms can be viewed through user-defined milestones and allow for the control of ongoing processes. Breifery allows users to export documents, tasks, and workflows to excel for integration or reporting with other enterprise software packages like ERP, CRM etc. In our daily activities we are required to go through dozens of fitness centers and keep in contact with hundreds of trainers. Working with Briefery allows us to make those activities simple and clear for our many field agents. The application gives our agents a powerful tool for field work and gives us, as management, a simple tool to manage their activities. The process of implementing the product in our organization was very short and easy with David's help Overall we are very satisfied and feel that the product saves us a lot of headaches. I would like to be able to see the location of our field agents in real time, A desktop application would be great. Ease of use and unique functionality. Unlike text messages, this app has the ability to assign tasks to users and for them to acknowledge when the task has been completed. Needs more options for assigning tasks. Need to be able to group tasks in folders so that there is more organization with regard to the assigned tasks. Great product with a lot of functionality. It takes a deeper look to uncover all the features. Lots of possibilities with one product. Great support team that provides a very personal experience. They're still working out some last bugs. The app takes some usage time to get used to, but worth it. Enterprise: Contact Briefery for pricing information. • Helps organizations by supporting collaboration tools and identifying bottlenecks. • Allows users to build automated workflows that reflect organizational processes. • Forms can be viewed through user-defined milestones to support the control of ongoing processes. • Allows users to export documents and tasks to excel for integration or reporting with other enterprise software packages like ERP, CRM etc. • Features hierarchical structure that enables efficient communication with thousands of employees. Below are some frequently asked questions for Briefery. Q. What type of pricing plans does Briefery offer? Q. Who are the typical users of Briefery? Q. What languages does Briefery support? Q. Does Briefery support mobile devices? Q. Does Briefery offer an API? No, Briefery does not have an API available. Q. What other apps does Briefery integrate with? Q. What level of support does Briefery offer?